This year has definitely been a year for my family travelling back to Japan, this time, it was my older brother’s turn. He travelled to various Asian countries (Malaysia and Philippines) and ended his almost 4 weeks with a brief visit to Japan stopping in Hiroshima, Nagoya and Tokyo to visit relatives. 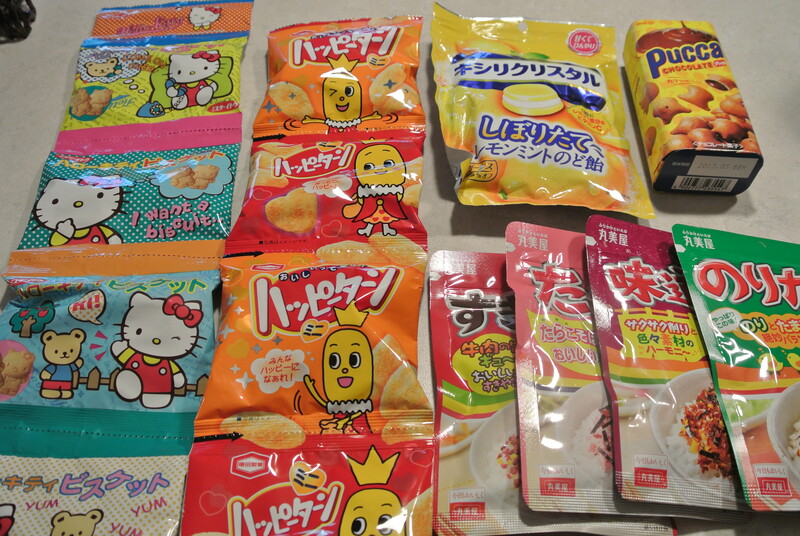 Much to my joy, my cousin M sent a package of goodies back with my brother for me 🙂 Inside my box were some cookies, rice crackers, candy and my favourite: Furikake! For those that know me know that I hate eating plain white rice and ever since I could remember I’ve eaten rice with various toppings. One of my favourite, cheapest and easiest ways of eating rice is with a sprinkling of furikake. Furikake come in a variety of flavours traditionally: katsuo (smoked and dried tuna), wakame (seaweed), goma (sesame), tamago (egg) and tarako (salted cod roe). And of course, they like to introduce some new flavours like this one: curry! So yummy! Thanks cousin M, I miss you and Japan already! My Goodie Basket from Cousin M! 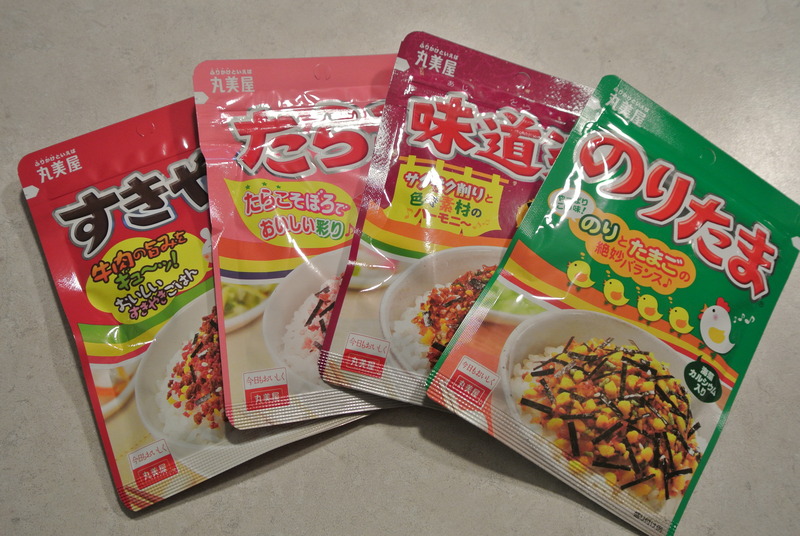 Furikake – so many different flavours, my favourite is the tamago (egg) in the green packet! 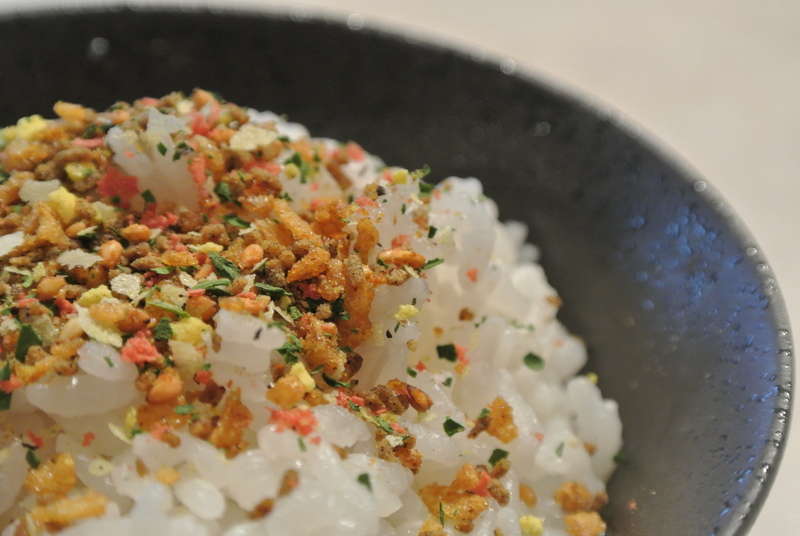 Bowl of white rice with curry flavoured furikake – YUM! 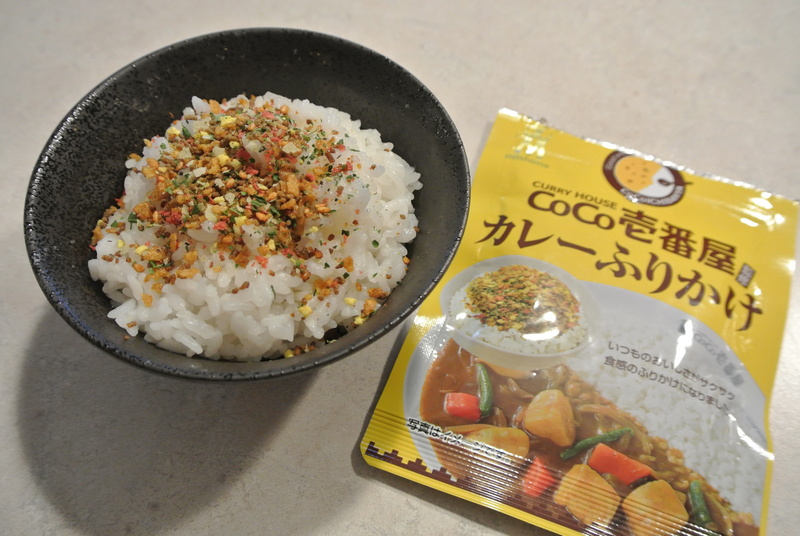 Curry Furikake – CoCo Curry House brand, a famous franchised curry restaurant in Japan.